The Italians in Texas constitute the sixth largest ethnic group in the state, according to figures from the U.S. census of 1990. In that year, when the total population of Texas was 16.9 million, the number of Texans who said they were Italian or part-Italian was 441,256. Many of these people arrived in the last half of the 20th century when Italian-Americans, many of them professionals and business workers, were attracted or transferred to Texas in the booming job market. However, the Italian presence in the state goes back to the earliest years of Spanish exploration. Like Christopher Columbus himself, Italians were often in the employ of the Spanish court during that early period of discovery. Some soldiers of fortune came from northern Italy, but the larger numbers were from Sicily and Naples, provinces that were under the Spanish crown at various times. Francisco Vásquez de Coronado's trek across the High Plains in 1541 included soldiers with the Italian surnames of Loro, Napolitano and Romano, among others. When Texas became settled territory in the late 1700s, individual Italian merchants began to arrive. Among them was Vincente Micheli who came to Nacogdoches from Brescia. In 1836, when Texas won independence from Mexico, Italian-born Prospero Bernardi was one of the Texans who fought at the Battle of San Jacinto. The older cities of San Antonio, Nacogdoches and Victoria have Italian families who date back to this period. Not until the 1880s, however, did Italian immigrants begin to arrive in Texas in large groups. These were mostly farmers who settled in three areas: the Brazos Valley around Bryan, mainland Galveston County, and Montague County in the Red River Valley. Thomas Qualia at the Val Verde Winery in Del Rio. Photo by Kathy Straach. The Montague group was from northern Italy. Never large in number, they engaged in agriculture, including planting some vineyards, primarily to supply the family table, but a few small wineries operated until Prohibition. Over in southwest Texas, Frank Qualia, who came from northern Italy to Del Rio, established Texas' oldest winery in 1883. The Val Verde Winery managed to survive Prohibition by selling table grapes from the Qualia family vineyards. A fourth group has largely "come and gone." These Italians were the thousands of miners and brick makers of Thurber. Between 1880 and 1920, this coal-mining town grew to a population of 10,000. Now, it is a virtual ghost town, a mere exit sign on Interstate 20, west of Fort Worth. Although a remnant lives in Thurber's neighboring towns of Mingus and Gordon, most of the Italians of Thurber moved north to other states or back to Italy when the mines and factories closed. Another group of Italians worked building a railroad in 1881 that was to extend from Richmond and Rosenberg to Brownsville. So many were employed that the rail line became known as the "Macaroni Line." Financial problems halted construction at Victoria in 1882 and most of the workers returned to their native Lombardy, although some settled in Victoria, Houston and Galveston. The Brazos Valley Italians came from impoverished Sicily, specifically from the three villages of Poggioreale, Corleone and Salaparuta. After a period of tenant farming of cotton and corn, they began to acquire land, some of it being flood-prone bottom land that had been passed over by German and Czechs who immigrated a bit earlier. Estimates in the late 1800s on the numbers of Italians along the Brazos ranged from 2,400 to 3,000. In 1899, heavy rainfall caused severe flooding in the Brazos bottom, and some of the Italian families left the area (an estimated 200 persons) for mainland Galveston County, where other Italians had begun to establish vegetable and fruit farms. There another weather disaster, the Galveston hurricane of 1900, created havoc for these Italian-Texans, damaging their farmland with the surging saltwater tide. However, the families stood fast, continuing their farming or finding employment in nearby Houston. Today, the Galveston County towns of League City and Dickinson retain their Italian heritage. The pillars of Italian cultural identity in Texas have been principally food, faith and family. Valentine J. Belfiglio, in his Italian Experience in Texas, says assimilationist tendencies have been strong, especially by the time the third generation arrived on the scene. This is a phenomenon common to all ethnic groups. But among the third-generation Italian-Texans, certain attributes have helped preserve cultural identity. First is membership in the Roman Catholic Church. This can be seen in "Italian" parishes today, such as St. Anthony's in Bryan, Shrine of the True Cross in Dickinson, St. Francesco Di Paola in San Antonio and others. Also, the tradition of the St. Joseph Altar on the feast day, March 19, remains a custom in several Texas cities. On this day in Sicily, dishes of pasta, cakes and breads were placed on a specially decorated table in the church. The Sicilian tradition was to take the blessed food to the poor. Knowledge of the preparation of Italian cuisine and the customs that go along with the celebration of the meal – such as folk music and dance – are other important factors in maintaining Italian identity. One distinguishing dance is the tarantella, almost always part of the wedding feast. Belfiglio describes the Sicilian tarantella as "full of movement and abandon," a dance that centuries ago fused with the Spanish fandango, but performed in the Italian style without castanets and with a band playing a certain melody. Sometimes, however, the sole accompaniment is the rhythmic beating of the hands. The foods and folk customs are almost always shared with the family. As social historians have noted, "To all Mediterranean people, food is the symbol of life's chief medium for human beings, the family." Italian consciousness does not depend on any one of these attributes but a sum of all of them, gained through a shared upbringing that includes them all. It is manifested in a pride in Italian achievements, especially in art, and specifically in architecture and sculpture. Courthouses designed by immigrated Italian architects grace many Texas county seats. Other public spaces are anchored with sculptures by Italian-Texans. Pre-eminent among the artists is Pompeo Coppini. Born in Tuscany in 1870, he arrived in Austin in 1901-02. His sculptures include the Littlefield Fountain at the University of Texas in Austin, the statue of Gov. Sul Ross on the campus of Texas A&M University and the Alamo Cenotaph Memorial in San Antonio, the city he made his home and where he was buried in 1957. Oscar and Frederick Ruffini, two Genoese brothers, designed many Texas public buildings. Frederick (b.1851) arrived in Austin in 1877. He was the architect of 19th century courthouses in Henderson, Longview, Georgetown and Corsicana. He died during an 1885 epidemic in Austin. Oscar (b.1858) settled in San Angelo and was the architect for several West Texas courthouses including those in Concho, Mills, Sutton, Sterling and Crockett counties. He died in San Angelo in 1957. Other Italian artists in Texas include: John C. Filippone, print maker for George Roe's version of The Rubaiyat of Omar Khayyam; Rodolfo Guzzardi, painter, especially of landscapes, including "Palo Duro Canyon-Texas"; Louis Amateis, sculptor; Enrico Cerrachio, creator of the Sam Houston monument in Houston's Hermann Park; and many other creative talents. The festivals observed by the older Italian-Texan community consist principally of observances connected with parish events. Houston – downtown Festa Italiana in early fall, with food, tenor competition, grape-stomping contest, bocce ball tournament (similar to lawn bowling played on a long narrow court of sand). Bryan – St. Anthony Parish. St. Joseph Altar, March 19. Dallas – The Italian Club of Dallas plays a Classico Italiano Charity Golf Tournament on Columbus Day. Fort Worth – Festival Italiano on a weekend near Columbus Day. The event, near Keller, is sponsored by the Festival Italian Foundation. Pizza, pasta, Italian ices are among food specialties. Games include bocce. 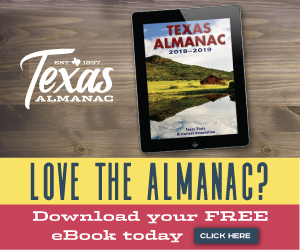 — written by Robert Plocheck, associate editor, for the Texas Almanac 2002–2003. New Handbook of Texas, 1996, various: "Italians," by Valentine J. Belfiglio. "Brazos County," by Mark Odintz. "Dickinson," by Pember W. Rocap. "Folk Festivals," by Beverly J. Stoeltje. "Grape Culture," by Otis W. Templer. "League City," by Diana J. Kleiner. "Val Verde Winery," by Robert C. Overfelt. The Italian Experience in Texas, by Valentine J. Belfiglio, Eakin Press, Austin, 1983. The Italian Texans, staff, University of Texas Institute of Texan Cultures, 1973. Texas Highways, various: "Coppini's Passion," by Maxine Mays, January 1999. "Coronado in Texas," by Nelson England, December 1997.